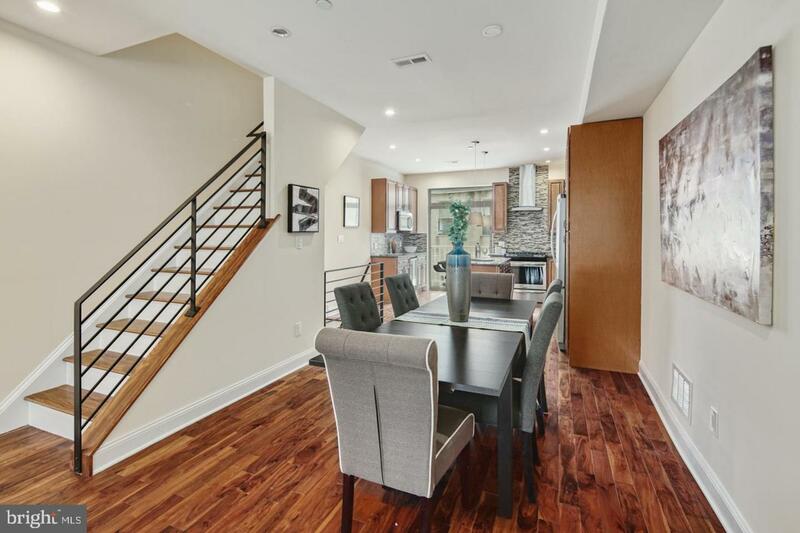 Luxury townhouse with GARAGE Parking in Point Breeze. This 1 1/2 year young residence is just one-half block south of Washington Avenue. On the main level is a one car garage with room for storage and a welcoming foyer that leads to a large bedroom with sliding glass doors to a private patio area and full bathroom, perfect for a guest suite or a spacious home office. Walk up the stairway to the main level, which features a flowing open floor plan, gracious gourmet kitchen with island perfect for bar stools, Frigidaire Gallery stainless steel appliances including built-in wine cooler, dishwasher, custom cabinets with soft-close drawers, glass tile backsplash, quartz countertops, and sliding glass doors onto a balcony where you can enjoy your morning coffee in the warmer months. 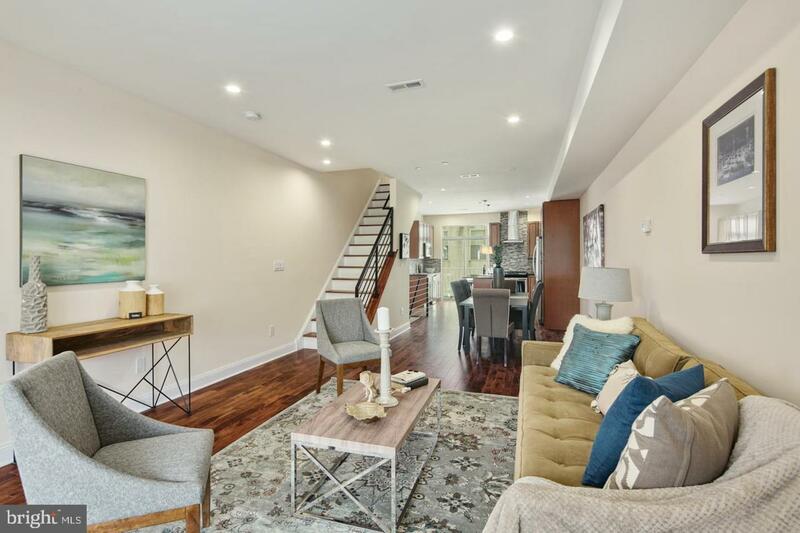 Gorgeous hardwood floors throughout with fantastic natural light streaming into the living room. The third level contains 2 spacious bedrooms and 2 full bathrooms. The well-designed master suite has abundant closet space and a private bathroom with a double sink and frameless glass shower doors. 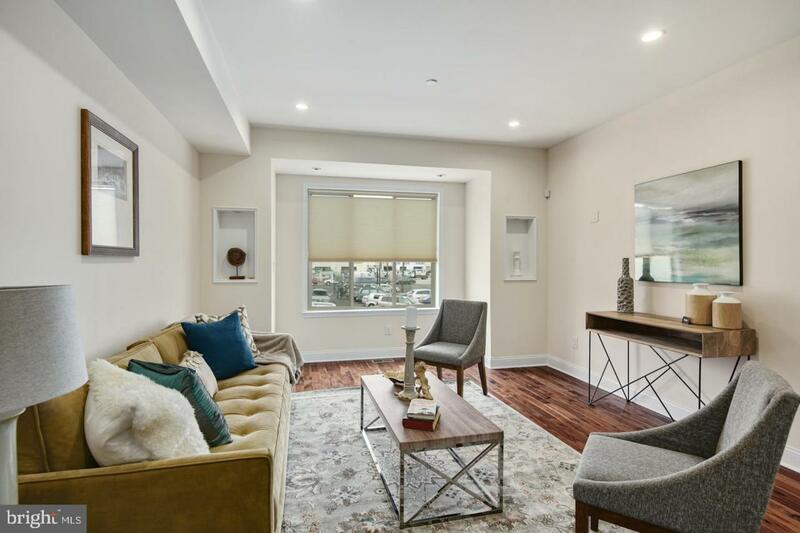 The top level is a perfect room for entertaining with a convenient wet bar with a wine cooler, a sink, and counter/cabinet space and sliding glass doors leading to a large rooftop deck space with stunning skyline views. The finished basement includes an additional family room, a full bathroom and a large laundry room. 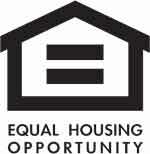 8 1/2 years remaining on tax abatement. 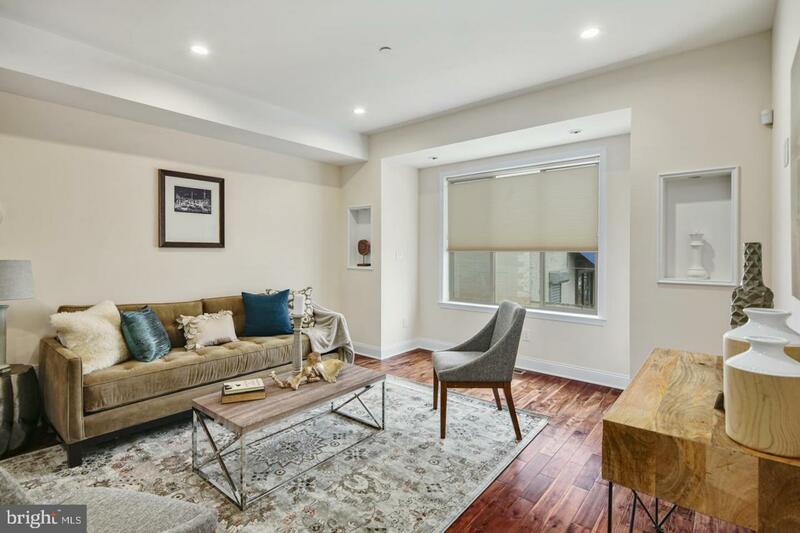 Located within walking distance to Center City, Rittenhouse Square, Fitler Square and all the shopping/dining South Street has to offer including wonderful restaurants and cafes, grocery store, and City Fitness gym. Bike or run to the city or enjoy the nearby river at the Schuykill Banks boardwalk. Easy highway access nearby for a quick commute out of the city to the suburbs.